Do you want to raise funds, increase awareness, build your membership, or develop a growth strategy? Tell us what you need, and our team of creative problem solvers will customize a solution just for you. We specialize in developing campaigns from concept to completion. We strengthen the work of churches, nonprofits, universities, schools, camps, and businesses by creating custom campaigns that produce results. We work closely with your team to examine where you are right now, where you want to be, and what it will take to get there. We then develop a creative campaign custom-fit just for you—one that is uniquely suited to meet your needs and accomplish your goals. Depending on your needs, we are equipped to handle your full campaign from start to finish, or can assist by filling in the gaps where your team needs assistance. You can handpick the services you’d like CampaignLabs to provide, or give us the reins to work with you on all of it. No project is too small or too big for our creative problem solvers. Our flexible approach keeps us affordable, no matter the size of your budget. Campaign Labs doesn’t just swoop in and tell you what you should be doing. We take time to get to know the heartbeat of your organization. Open dialogue with your team gives us the incredible opportunity to understand what makes you unique in your field. Then we build on that to craft an innovative campaign that works, because it’s a natural extension of who you are. We believe in your unique individuality as an organization, so we don’t use a cookie cutter process. No two campaigns are the same. Your company DNA and culture sets you apart, and we want your campaign to reflect that. So we provide custom solutions for your unique needs, developing a campaign that is tailor-made just for you. With more and more people using tablets and smartphones to access the internet, it’s crucial that every element of your campaign be optimized for mobile devices. 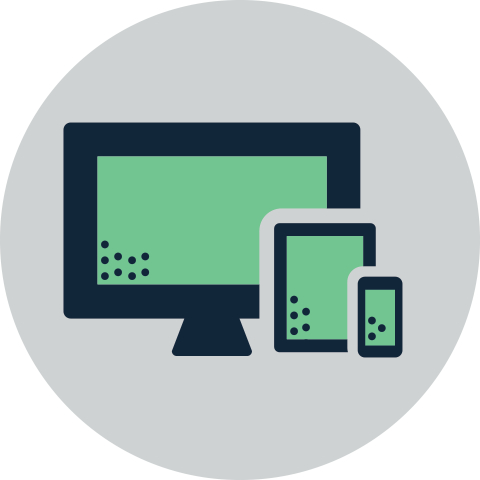 So we design websites, apps, and videos that are fully responsive and look great on any device. Delivering a great experience to your users, while providing you the insights and feedback you need to monitor and manage results, is one way we help you work smarter instead of harder. Our campaigns are custom-crafted to achieve your goals and pack a punch. From donations to book sales to membership sign-ups, CampaignLabs helps you produce results right where you need it. More views, downloads, fans & followers, sign-ups, purchases, and donations are just the start. We help people connect with your organization for long-term involvement and investment. What kind of campaign do you want to launch? know how we can creatively, innovatively, and collaboratively devise a custom solution. campaigns we’ve developed for our amazing clients.